Speaking of books and dreams I think about a friend, brave and stubborn as can be just a dreamer, he is making room in the world. A world of thoughts, words and emotions, wandering in a universe created by the inner chaos that drives its inhabitants to seek a real place, a land very difficult to grasp for its compromises, strange and unwritten rules. Writing a book takes time, effort and courage. Courage to get involved, to prove to an audience that can sometimes be very critical to a stranger, a newcomer I would say, If you think that a book is not born from fierce jet of a pen, but careful observation , from self-criticism, analysis, perhaps you would stop to deal a name so lightly just because you do not know it. A book may be the result of a long struggle between the love for what you do and self-defense. A book is often all that remains of a pile of papers emphasized, corrected and stripped away. A book may be madness. 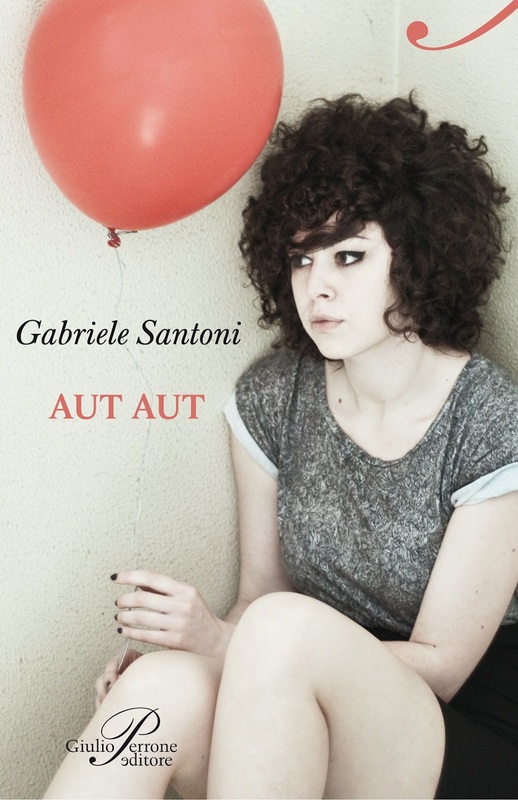 So here I am, in front of a cup of tea to talk with a friend who has put the soul in this “madness”, let me introduce you Gabriele Santoni, the writer of AUT-AUT. I started writing stories to a local newspaper, immediately after graduation, but I’ve always been a voracious reader. I knew that sooner or later I tried to deal with the narrative, so in 2008 I started to write his first stories. My favorite books are many and above all of them marked a special moment in my life. I might indicate someone like “One Hundred Years of Solitude” during the South American, “Indignation” in the American period and certainly “Canale Mussolini” in the Italian period. Did them inspired you for your writing? The books are distilled author, I am convinced of this. Everything affects the writing. What is more important, indispensable. But the life of every day is the more authoritative source. My image of the writer provides a heap of torn sheets everywhere and a small man, far from the time that passes, animated by the rampage of fixing the mess on a white sheet; what kind of writer are you? I need deadlines, knowing that within a certain date I have to deliver some of the work. My creativity is forced to live well because I do more writing and I have to frame her in the niches of the day. Yes, I write enough of the jet and the PC. I usually have very clearly what I’m going to write, but when I put my fingers on the keyboard, the story takes hold of me and the characters take me somewhere else. In life I do the job I always dreamed of, I’m lucky in that. And I reached a serenity that allows me to devote much time on writing. Do you think we can live with books? Were possible, would you? Living with books? Sure you can, in Italy there are excellent examples. It ‘s very difficult, depends on many factors, though, it must be said, that does not mean that a living writing what he writes is of quality. You write because someone reads you, not because someone will pay. What are you thinking when you write? How do you create your characters? Do you remain detached or need to live them one by one? You can not break away completely from the characters. The stories are everywhere, and a writer is just a person who displays it before the others. This also applies to the characters. They are there, just waiting for someone to notice them and make them visible to others. I have been lucky to meet Matteo, Enrico and other characters in my novel. They had something to say and have done so through Aut Aut. Do you feel you have a book waiting to be written or are you looking for? Right now my head is empty, I’m committed to the promotion of Aut Aut I take up much space. But I know that sooner or later I’ll feel the need to get back on the paper, because when the story you created is no longer just yours, it is natural to search for a new and unknown place in which to create something. And that place, for me, is a blank sheet. This book because it was necessary that someone will write it. Besides the narrative, the novel is a “service”, meaning they want to put people who do not belong to my generation in front of us the choices we face every day. In respect of the labor market, but also in interpersonal relationships, to the moral rigor, principles. I wondered this: is it right now to survive one must put aside what he believes? I found myself in front of an Aut Aut, so I wrote it. I know that publishing a book is very difficult, what was your experience? It was harder to write or publish the book? It is not easy to publish a book, it is not easy even to find a publisher willing to read your book. I have chosen the way of competitions and that’s what I recommend to those who want to try. I participated in several competitions, winning stories for someone. The editor noticed me, invited me to the office to talk about my projects, writing in general. I liked them, they liked me and it generated a contract to publish a novel that I had not yet written. Often I choose a book based on a sentence, would you like to share an extrapolated from Aut Aut? This phrase embodies the meaning of the book in my opinion, it is also found in the last chapter. If I were one of your characters who would or who would it be? I do not feel any of the characters, but I feel the novel in its entirety. In those pages there is me, my thoughts, my fears, solutions. There’s my experience, my illusions. Anyone who knows me sees me on every page. Do you dedicate it to someone? In the first page, I dedicated it to Guido Di Vito, who was the director of the newspaper where I worked many years ago. A special person, a great teacher, not only in journalism. The question is …the novel is about choices, those taken from Gabriele were all right? I’ll paraphrase one of my favorite artists: we will find out just living. On the notes of this song is an inevitable plunge into the past and makes me smile reviewing my friend, walking the dusty streets of Tana (Antananarivo) where people lived a dignified poverty, I see the young Gabriele to a café in Havana , sipping a refresco with its beloved books and a guitar that had brought a gift for a musician “without strings” but full of joy in doing what he loved :to sing! I read this interview again and the words take on a different and exciting, full of memories and I can almost see him now, curious little boy, with his bag of dreams, becoming a man in a world to explore, understand and tell. Have a good trip Gabriele!